The Effleur Cosmetic Case Trolley is ideal for storing all your beauty essentials. 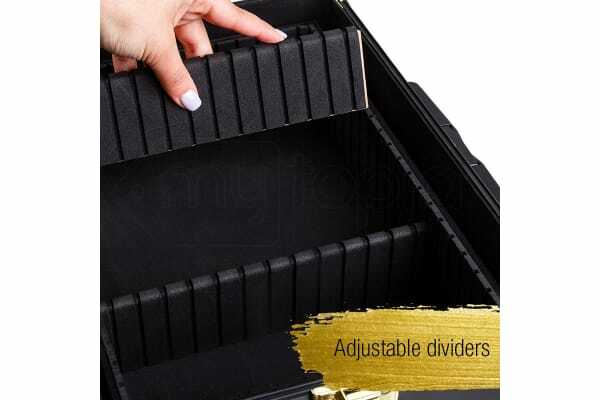 They are the choice of professional beautician and makeup artists to keep their makeup, tools and accessories organized in the many different stackable compartments. A must have for beauticians and make-up artists on the move! 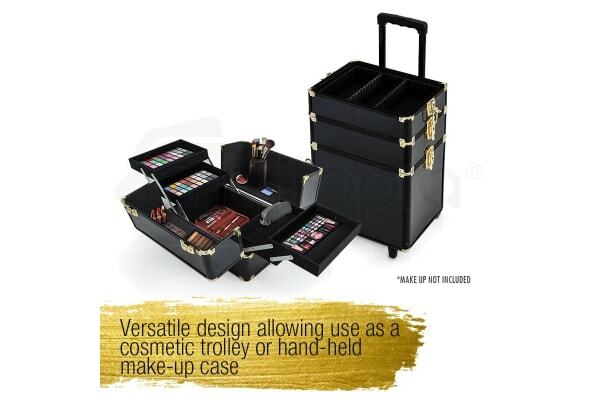 Order your Effleur Cosmetic Case Trolley today! Compartments, dividers, removable trays – this case has the works!